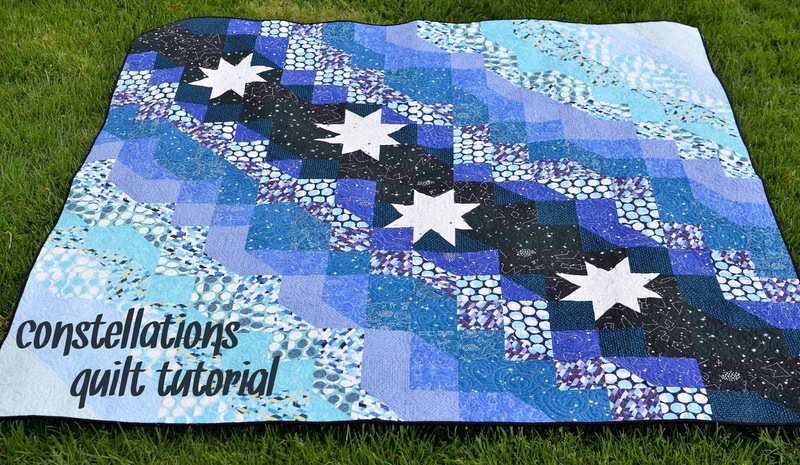 Several people left comments or have emailed to ask me about the pattern I used for my Constellations Quilt. I actually just kind of winged it so after a couple of requests I thought I'd write up a rough tutorial. Pink Castle Fabrics has 2 half yard bundles in stock and you can use coupon code Bundle25 for 25% off bundles this weekend. 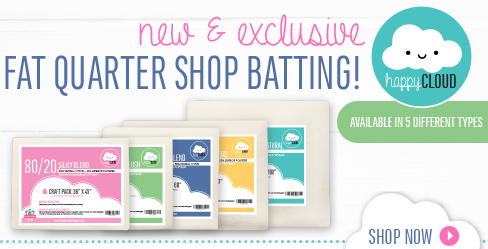 They also have 1 fat quarter bundle. Sew Modern has all but one of the prints in stock. Westwood Acres has a fat quarter bundle of 15 of the prints. 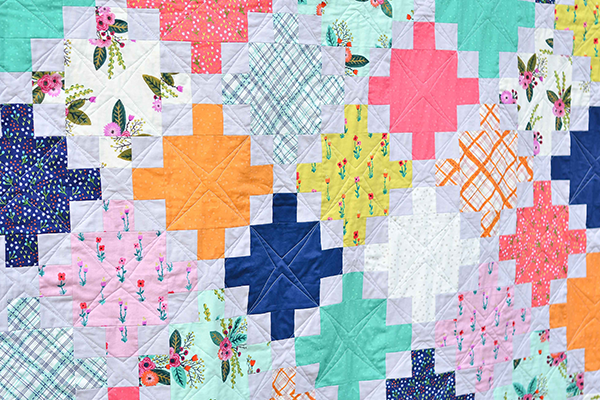 You could make a smaller quilt with the fat quarters. 2. Subcut the 5" strips into 5" squares. Subcut the 5.5" strips to 5.5" squares. This is a few more squares that you are going to need for the finished quilt, but it gives you a little wiggle room with your arrangement. 3. The first thing you need to do once you have your fabric strips is make your half square triangles out of your 5.5" squares. 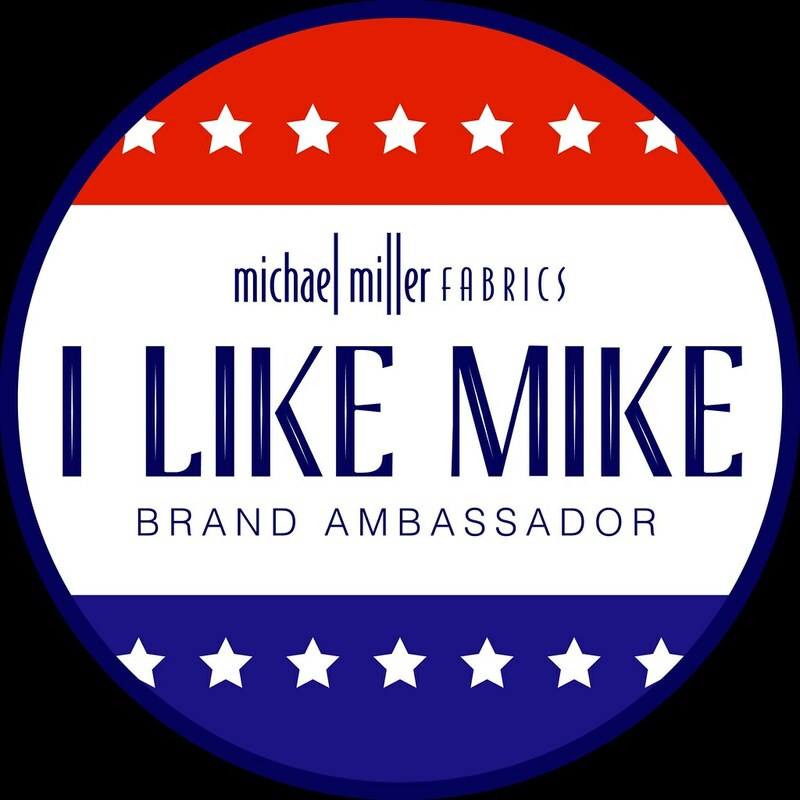 Do not make any HSTs out of the white/light gray fabric at the bottom of the cutting list because it will only be used to make the stars. Make these pairs into HSTs. This is a great tutorial. Trim the HSTs down to 5". 4. Set aside 4 of the 5" squares for the center of the stars and then take 16 of the remaining squares and cut them in half on the diagonal to make right triangles. 5. Take 18 of your black squares and lay them into a diagonal on your floor or design wall. Surround them with the remaining black squares. I wanted my quilt to look fairly organic so I just went with what I thought looked good. 6. Decide where you want your stars. I just placed mine randomly, moving the black squares around them, until I was happy with their placement. 7. Use the black square above, to the right, to the left, and below your white/gray star centers to make the stars using this great tutorial. I would recommend using the solid black squares for this and not your half square triangles. 8. This is the fun part. Just start using your HSTs and squares to fill in the space above and below your black diagonal until you have 18 blocks x 18 blocks (or your desired size). I hope that this tutorial is helpful. If you have any questions (I am writing this at midnight so it might be terribly confusing) just ask and I will try to clarify. 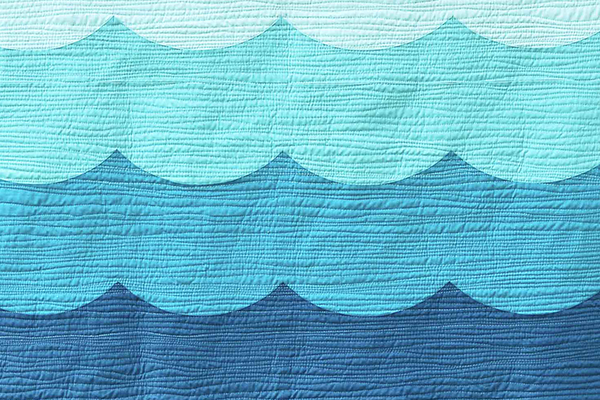 You could definitely adapt this to a smaller sized quilt by using fewer squares or making the squares smaller. If you decide to make a project with this tutorial, please share it with me. I would love to see it! 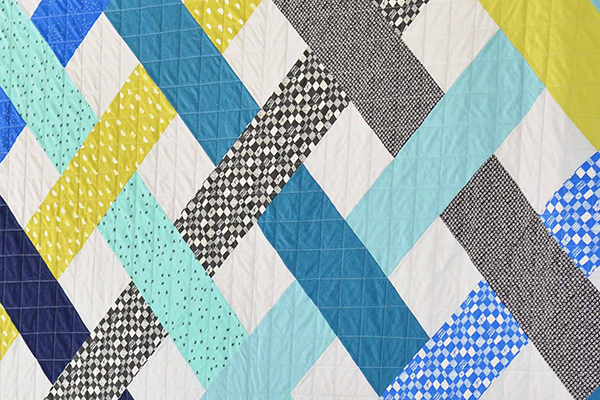 Love this quilt, Erica, and the tutorial is fantastic! Thanks for sharing it! Awesome, thanks for sharing Erica! Thanks for taking the time to put together this tutorial. I love your quilt and will be making one of my own! Fell in love with this quilt. Thank you for your tutorial. I plan to make one of my own in the very near future.